I'm sure I've said it hundreds of times but I am a lover of picture books. The Adventures of Egg Box Dragon by Richard Adams (of Watership Down fame) and illustrated by Alex T Smith was very well received at our place. Bounce read it before I'd even had a chance to flick through it and urged me to read it on a few occasions. 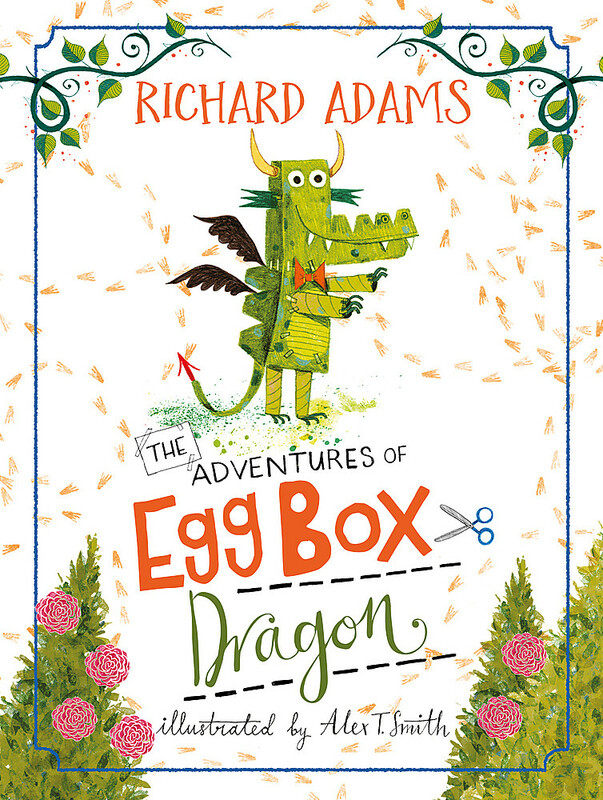 I adore that the start of the book is the creation of Egg Box Dragon, which really appeals to the crafter in me. The illustration style is one I really like, it has a vintagey aesthetic. I also really like that the queen in the story is not caucasian. It's something I'm becoming more and more aware of when I read, and I think it is special for all children to see themselves frequently represented in books. Of course there needs to be a lot of swing in order to make it a more even playing field but I really notice and appreciate seeing these changes. The story is sweet and I like that the hero is imperfect, again there is a relate-ability in this that appeals. This is a lovely hard back book perfect for dragon lovers, crafters and those who enjoy a good tale. 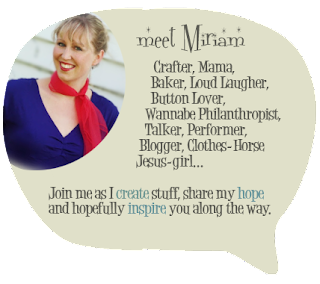 It would be easy to look at this blog and think I've entirely stopped being creative and I'm only reading books! Surprisingly I think this year has been one of my most creative so far. One of the reasons you haven't seen much is that a lot of it has been creative writing and I'm not sure how to share that aspect. I've also lost our camera so I'm relying on someone else to take pics and that doesn't always coincide with when I'm wearing something. A work colleague gave me a large fabric piece that was no longer needed at her place. 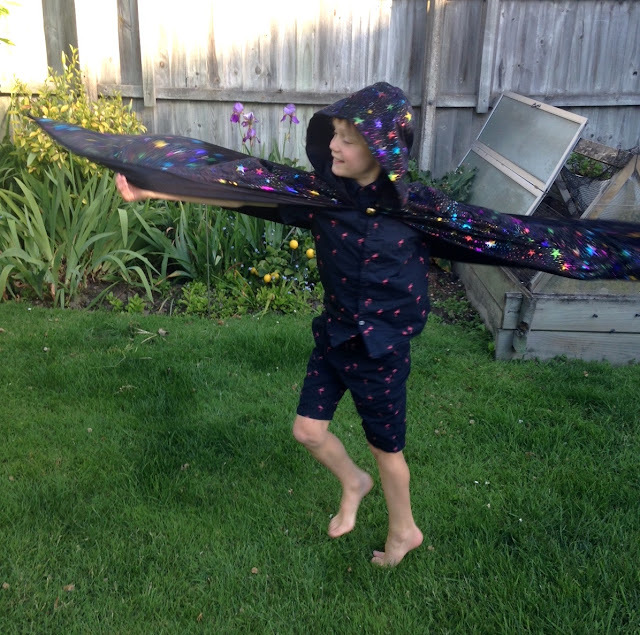 Bounce has been wanting a cape/cloak for a while. 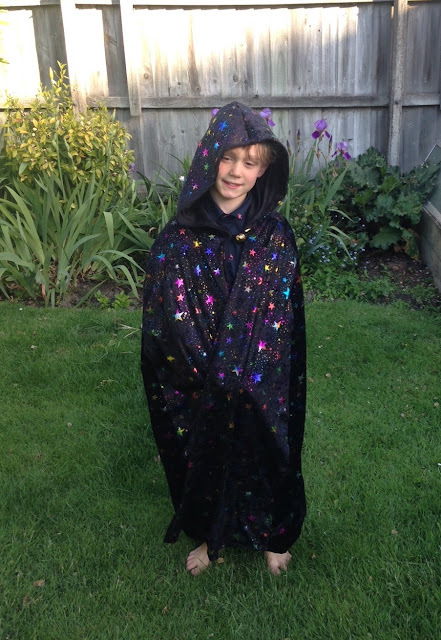 I adapted an adult cloak pattern, made the XS size and cut the best I could with the fabric I had. He chose the disco button and he is wearing it all.the.time. I'd call that a win for very little work. These are the days I feel like I'm mumming right. Over the last coupld of years I have been starting to gather a real enjoyment for anthologies of short stories. They are the perfect antidote for 20mins of sunshine or cold night when you are trying to avoid the pull of technology and just be present in the moment. 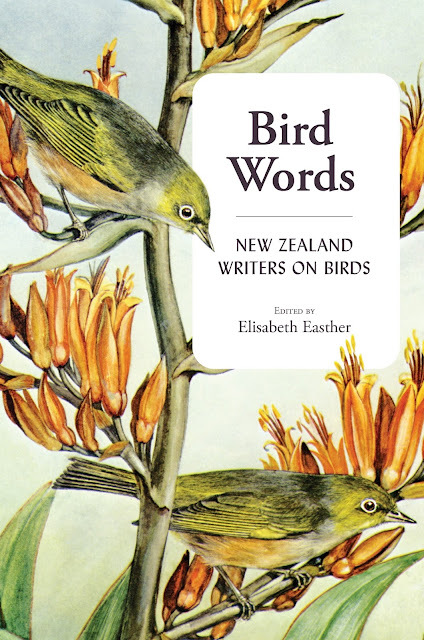 When I saw the byline for Bird Words: 'New Zealand writers on birds' I really wanted to get a copy. I love that the collection - edited by Elisabeth Easther - combines the writing of some our very most known and loved alongside lesser known writers. She has collected a vast array - fiction, poetry, excerpts and non-fiction. Do I love every piece? No, there were a couple that weren't my cup of tea but such is the same with a lolly mixture. Some of the delight is in the contrast of flavours. Most of the pieces are gorgeous and there is a very wide tasting plate to enjoy. I love the use of short story along side poetry and the mixture of length of the pieces too. This is one of those books that are perfect for picking up now and again and just taking five minutes to savour or for a longer stretch enjoying a few offerings. This is definitely a great gift book. For anyone you know who loves New Zealand writers, or New Zealand birds or people overseas who love poetry and short stories. One I will be recommending and purchasing for others. Another excellent offering to excite me in my delight of seeing more of 'our voice' on our shelves in bookshops. I love that the school holidays give me a chance to sit down and read with my boys. Even though they are bigger (11, 8) now they are not beyond the sharing of a great picture book and are both very content to listen to me reading chapter books for hours on end. I try to remind myself to make sure to do this as much as I can because I will miss it a lot when the season passes. 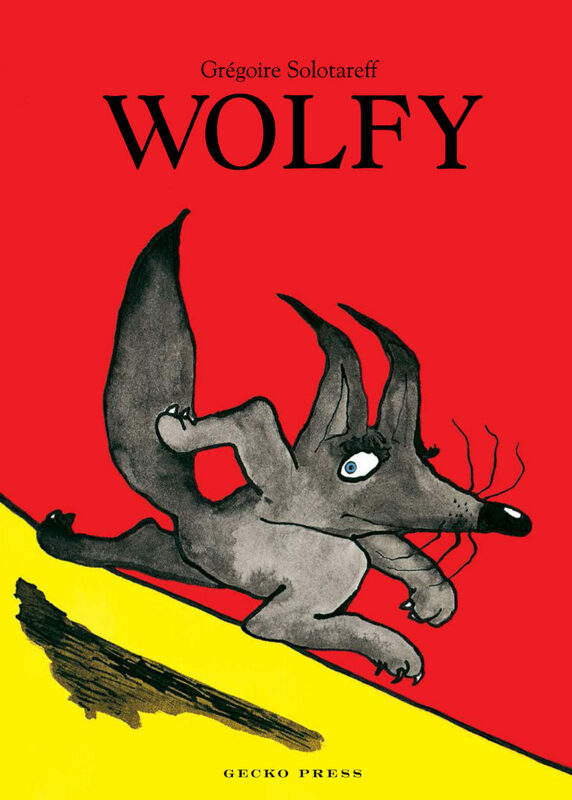 Lately we've loved Wolfy by Gregoire Solotareff. The book has already sold over a million copies in its original addition and now we get to enjoy it from Gecko Press as they secured the English-language rights. Wolfy (a wolf, with no name) and Tom (a rabbit) meet each other rather by co-incidence and end up forming a wonderful friendship. Until Wolfy really scares Tom and Tom is no longer confident they can be friends. What could restore such a lovely friendship? How will Wolfy cope without his only friend? All will be well... a wonderful commentary on the power of empathy and friendships that defy odds. Sure to please - especially if you like playing 'who's afraid of the big bad wolf?' (or rabbit). 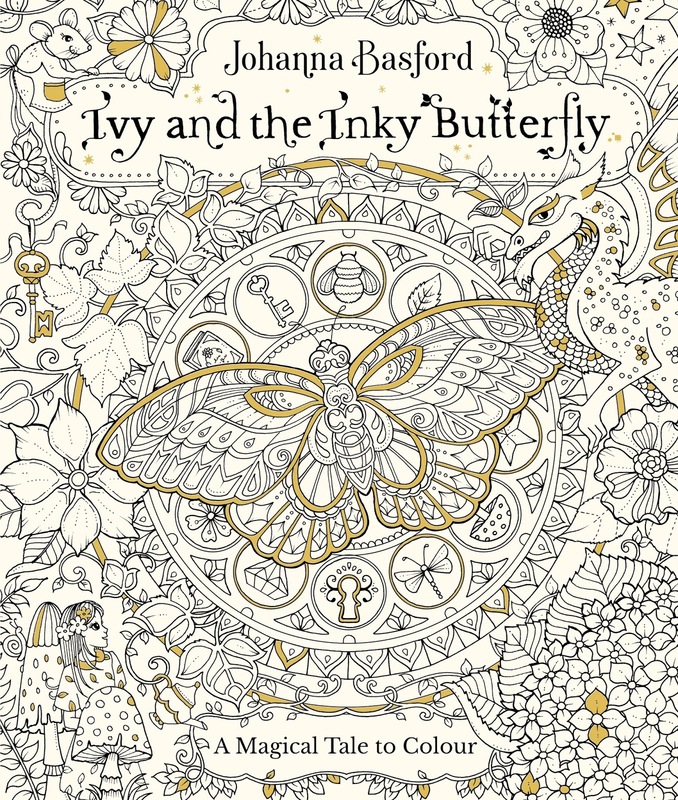 I was intrigued with the byline 'A Magical Tale to Colour' when I saw the description of Ivy and the Inky Butterfly by Johanna Basford. Those of you who love colouring in books of the more complex variety (putting 'adult' before anything seems to change the connotations somewhat!). She has previous published Secret Garden and Enchanted Forest - which are intricate colouring in books. In Ivy and the Inky Butterfly she combines exquisite pictures to colour in with a magical tale of Ivy who discovers a way into a secret world and embarks on a quest to follow the inky butterfly and return it safely to her grandfather's room of wonderful treasures. The story has all the elements of magical places and talking creatures that make the adventure perfect for any little (or big) person with a fabulous imagination. The book is printed on gorgeous, heavy, ivory toned paper which means that you can colour the pages in your preferred medium without worrying about going through the page. I can see this being a gorgeous summer holiday project for reading and colouring so that it becomes a completely personalised 'self-as-illustrator' story. A great gift along with some really good watercolour pencils - my only trouble would be taking the leap into starting for fear of ruining it! (Thankfully my 8 year old son has no such fears). The Atlas always talks about how he'd love to get a van or a bus and do it up and travel around so when I saw Van Life by Foster Huntington I requested it with him in mind. When he first set eyes on the book I started to think maybe I shouldn't be feeding this ambition! The Atlas loves this book! It totally fuels his idyllic dream of being able to holiday anywhere any time and I think it definitely contributed to a 'mum's away let's hire a camper and go on a holiday' trip in current school holidays!! 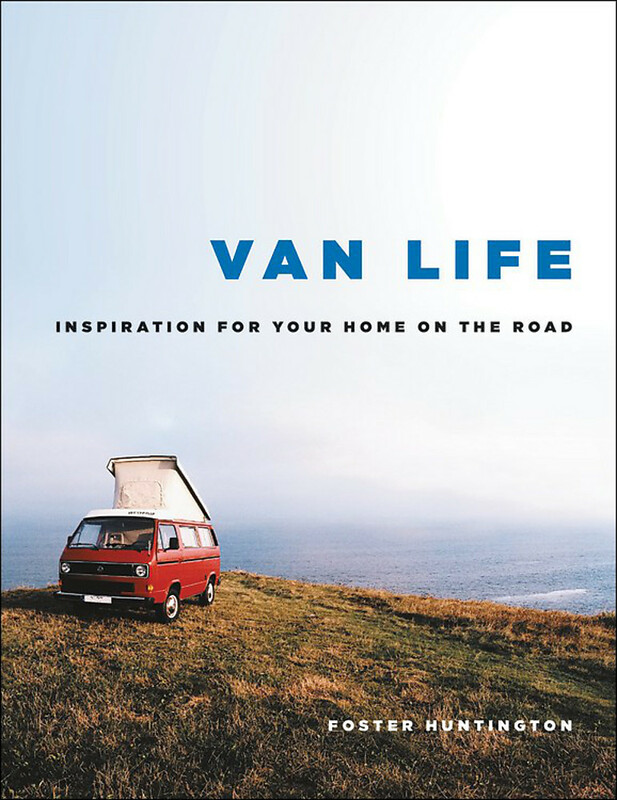 The book is really well put together - each chapter highlights a different type of 'van' from VWs through to School Buses to plain old Campervans. There are heaps of absolutely stunning photos from all sorts of vans around the world (NZ features too - whoop!) and interviews about the adventures, durability/ mechanic-y stuff, and joys of van life. This book would make a beautiful gift for any friend with wanderlust in them and a love of getting out on the road to adventures. It is hard cover and the photos are very appealing, both geographically and the variety of interiors. All the bases covered here! I also love Lauren Child's illustrative style. Her latest offering A Dog with Nice Ears does not disappoint. It has all the charm and generally awesome-and-infuriating ness of Lola. This time Lola is determined they will get a dog. Her parents telling them it will not happen does not deter Lola in the slightest. But will she get a dog and if she does what kind of dog will it be? Beautiful and perfect for anyone with a Lola in their lives. 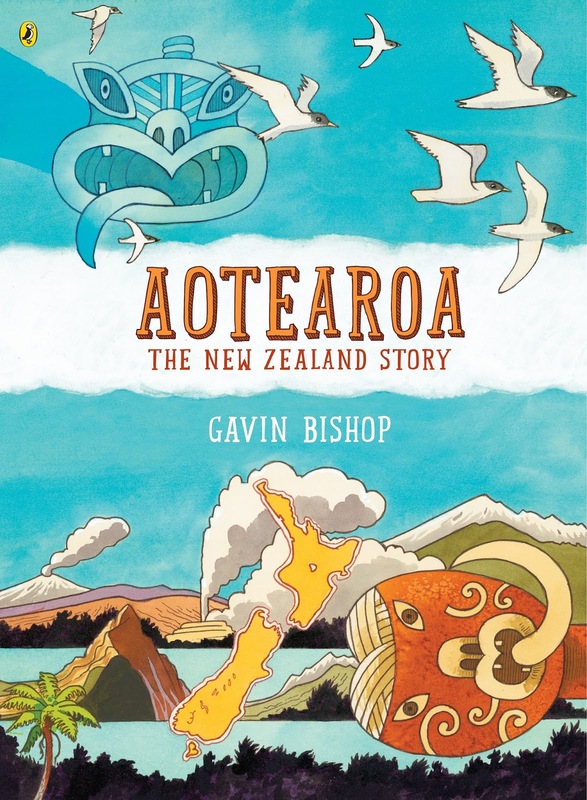 I was really keen to review Aotearoa: The New Zealand Story by Gavin Bishop. I have been a fan of Bishop's illustrative style since Mrs McGinty and the Bizarre Plant (which was published about the time I was born!). When this one arrived in the post it absolutely exceeded my expectations. As you know I love seeing books that tell our story and supporting books coming out of NZ. This is one of those wonderful, enormous, hardback books that are being published at the moment. 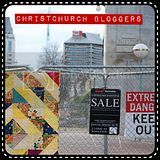 It is wonderfully illustrated and tells tales of NZ from pre-Māori migration right through to keeping record of the Christchurch earthquake in 2011. Every double page spread deals with different topics and they are laid out with heaps of illustrations and snippets of text. There is excellent use of Te Reo in the book as well which makes me really happy too! I can see this being a book that children will get lost on a page for ages and pop out with 'Mum did you know...' statements from the text. This book would be a wonderful addition to your home library and as a teacher I know it is one of those ones that would be constantly being picked from the book corner during quiet reading time. Congratulations to Gavin Bishop for this wonderful, wonderful book - a delight for children and adults and many thanks to Penguin Random House for picking it up and publishing it. One of my favourite this year. Details - Penguin Random House, October 2017 RRP $40.00 Hardback and very large size. I was really excited to hear that another Lynley Dodd book had come out. There were many years when Hairy MacLary et al made up a good part of our reading times. 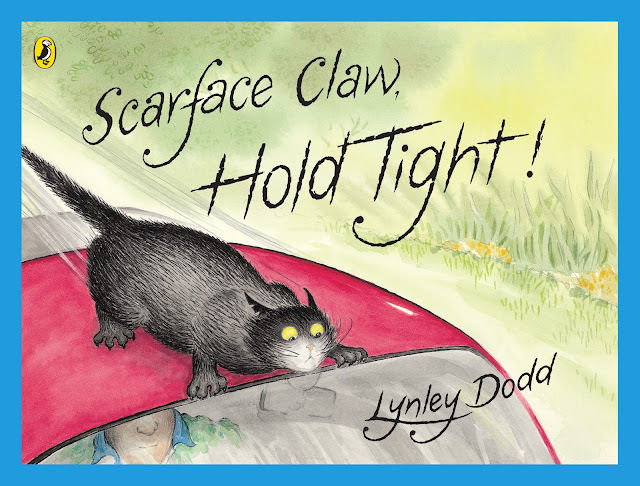 In Scarface Claw, Hold Tight Dodd achieves her usual delightful offering. Scarface Claw has chosen the wrong place to rest and he's going to have to hold on tight for the adventure that ensues. 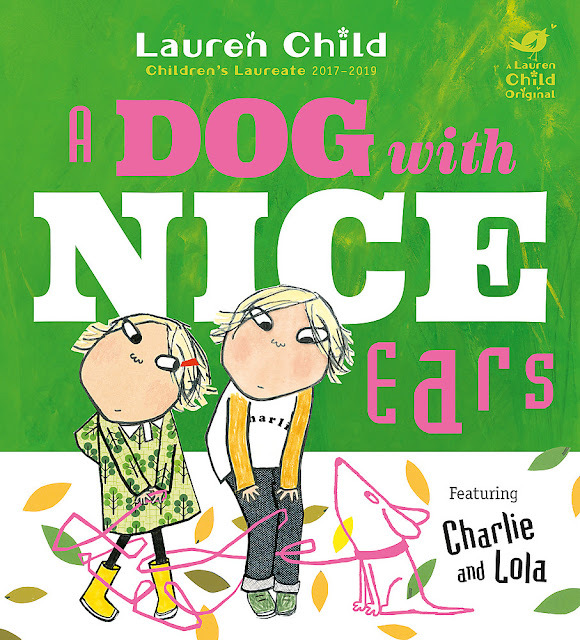 A great addition to your Hairy MacLary books - I'm pleased that the publishers have kept the shapes of the book the same all the way through - makes them look happy as a family on the shelves! Grab one for your favourite little person for Christmas I say!